Nehal Desai sends us the following pictures from her storytelling session. The book nook, started by Nehal Desai (MBA from Jamnalal Bajaj Institute of Management Studies) is a reading library and an after school club. 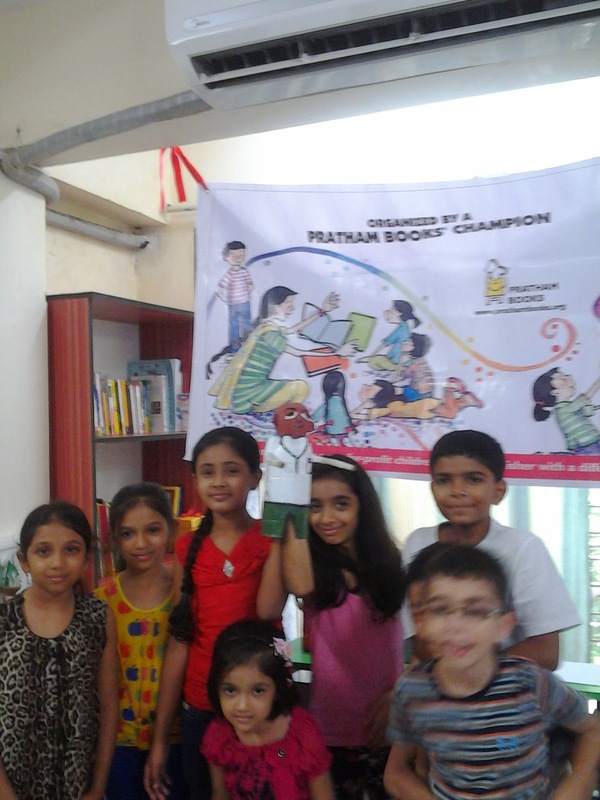 The main aim is to encourage reading and inculcate a reading habit in kids. 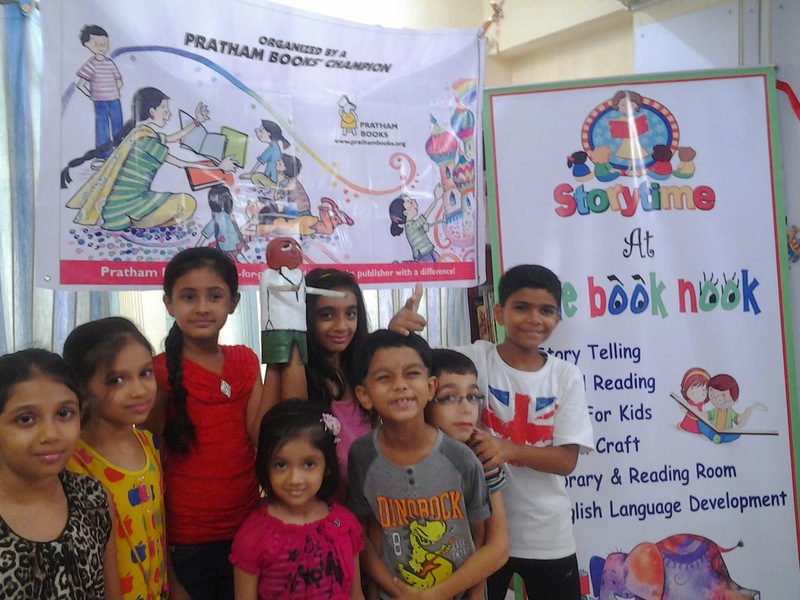 The book nook organises weekend story telling sessions for kids, and a library where kids can read and borrow books.Visit their facebook page. 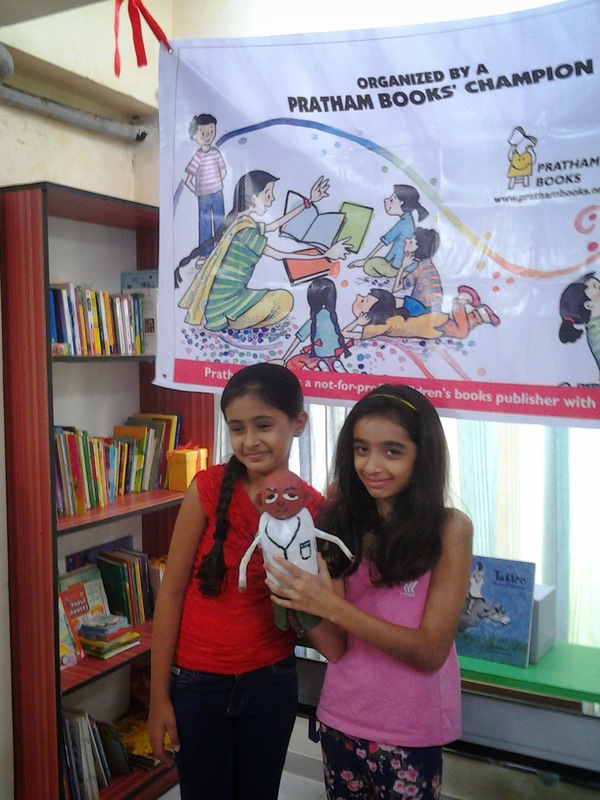 2 sessions held at the Book Nook, Kandivali West, Mumbai. 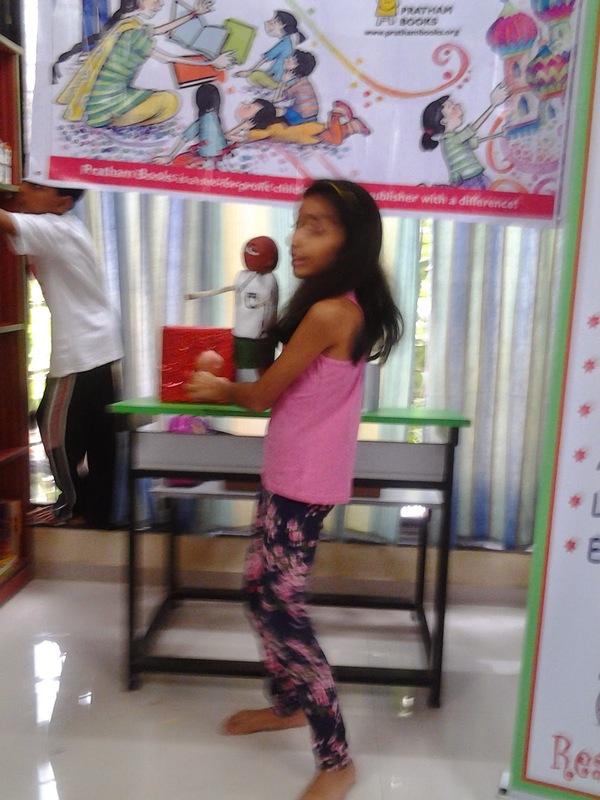 Kids enjoyed the story, and they made their very own TAKLOO from a used pet bottle. 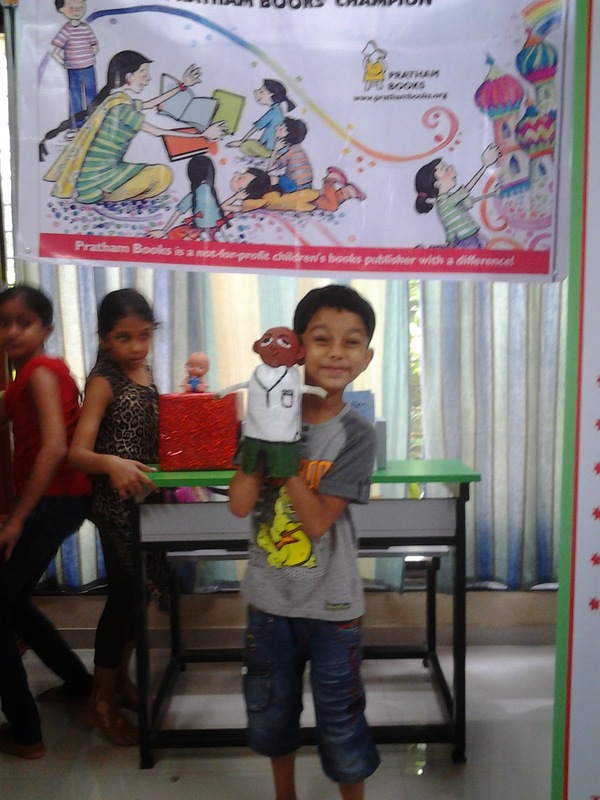 Kids loved the story and Takloo's enterprising skills. Thank you Nehal for spreading the joy of reading!